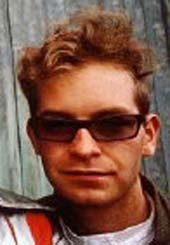 Thor Eldon was co-founder and guitarist of the band The Sugarcubes, as well as being co-founder of their Smekkleysa (Bad Taste) record label. Eldon was married for a time to singer Bjork Guðmundsdóttir, with whom he had one son. His post-Sugarcubes projects include the band Unun, a collaboration with Icelandic weirdo Dr. Gunni.